Cast: Liam Helmsworth, Jeff Goldblum, Bill Pullman, Maika Monroe, Jessie T. Usher, Sela Ward, Willam Fichtner, Judd Hirsch, Brent Spiner, Charlotte Gainsbourg. Nobody looks back at the first Independence Day movie and thinks it was a masterpiece. 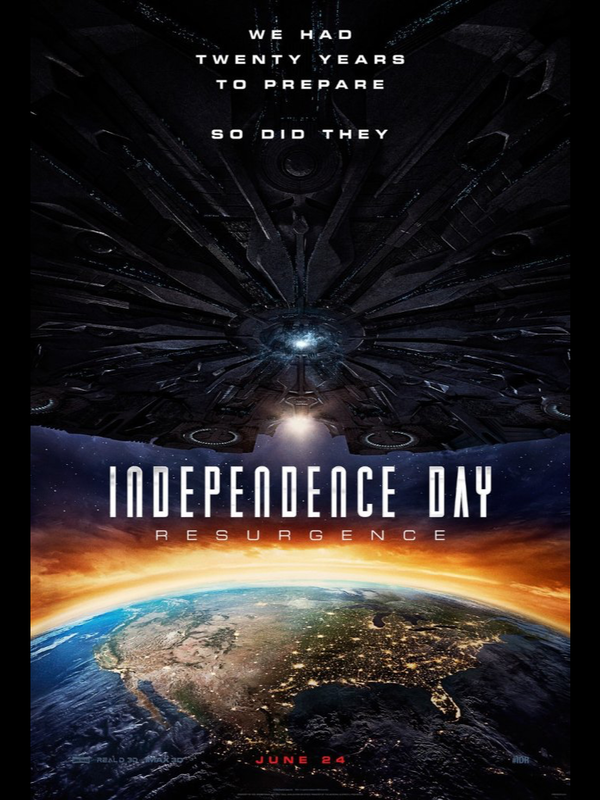 But as for spectacle and a huge dollop of dumb action, where Will Smith punches an alien and a crop spraying drunk helps defeat the invasion, we got enough of what we wanted from it. This too late follow up has no Will Smith but in his place we get a handful of spare change to try and plug the hole. Jeff Goldblum returns as Ian Malcolm from Jurassic Park even though that’s the wrong franchise. Bill Pullman is back as patriotic monologue spouting ex president. Judd Hirsch is back as favour to Rolland Emmerich. Plus Brent Spiner is back as cheap nerd actor. On top of this, because in all honesty , who cares about them, is B-list Hemsworth Liam, oh. Playing Will Smith’s son is Jessie T. Usher (WHOOOOOooooooo????) and William ‘I’ve got gambling debts to pay’ Fichtner as lead dramatic army man. But it’s Maika Monroe of the excellent The Guest and It Follows, who I forgive. She’s coming up in her career and even though this is pretty pants, it’s good for her resume. Now all the actors are jobbing actors who come along and do exactly what’s asked of them. The problem is its blue print, by the numbers, seen it before, route one dross. In fact everything is 70%. The script, “that’ll do”, CGI, “that’ll do”, cast level, “that’ll do” and on and on. Patriotic speech times five. Heroic deed times three. Pointless characters to just fill running time times ten. And yet, knowing that it feels like a pilot for the Independence Day tv series and yet still isn’t as good as say Battlestar Galactica tv series, does still have its merits. It has half a dozen ‘money shots’ which on a show reel would look impressive. But the film as a whole hits it’s heights at ‘OK’ and its lows at ‘Jeez, how small is this world that everyone can randomly fall at their family’s feet at the exact moment even if they were briefly on another planet’. The science is totally wrong. There’s no g -force, no emotional weight, no ‘stop and see if they are friendly before blasting them’. No sense, no …will smith. The sets are glaringly obvious, in a Star Trek 1970’s way. Throw some sand down and lean on a fake rock level of cheap. BUT I did enjoy the final beasty in the latter half even though that too was recognisable in design. It has Aliens, Spaceships, Guns and Jeff Goldblum, therefore it’s got some worth. Like when all you want is a dirty sweaty burger from the back of a van even though it has no nutritional value, this movie fills a certain type of hole. Albeit a cheap one. And to practically bait the audience with a franchise carrot has got to be commended. Whenever I here a song by Bob Marley, one thing comes to mind. Turn it off. But I must also state that I don’t dislike anything about it either. It just barely registers as music to my ears and is instantly forgotten. I have never had cause to find out about the man who was Bob Marley because I’m not political and our paths never crossed. But what I do like is watching a programme or a documentary about something which I know nothing about and learning something. I find most documentaries about musicians or people who are creative very enjoyable and generally inspirational. So because this film was out at the cinema I made myself go. I was glad that I did. 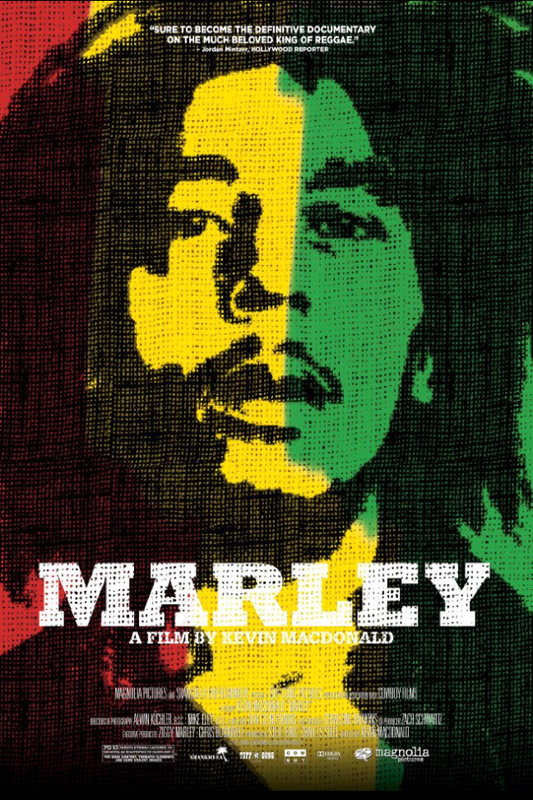 Kevin Macdonald who had previously directed ‘The Last King Of Scotland’ and ‘Touching The Void’ does a good job with the task of piecing together a progressive collage of a journey from Marley’s days in Trench Town , through his early days and benefit gigs, right up to his death in 1981. There is candid talking heads featuring close family members and band mates and footage from various concerts and interviews. Marley himself is painted as he was in life, totally focused on his cause and an unashamed romantic beneath his shy exterior. I was taken in by the film immediately because I love listening to African accents and it taught me a lot about Rastafarianism which I knew nothing about prior to this movie. I came away knowing how Reggae was formed and it’s message of peace between everyone on the planet. The family talk frankly about the events which clouded their enjoyment sometimes whilst on tour with this small man who had a large persona. It also documents an operation on his toe that seems inconsequential to begin with but becomes important later on. The film was surprisingly long I felt, as a non reggae fan especially. The music went through me and was forgotten the instant the credits rolled. I am not a new fan of the music but I have a huge amount of respect for the man himself. I will never hear his music again without thinking good of him and his cause. This was a pleasure that I am really glad I watched. So if you like Bob Marley and his music then you should love this. I would say this film is a delightful portrayal of an incident which was supposed to last a short period but escalated for years. 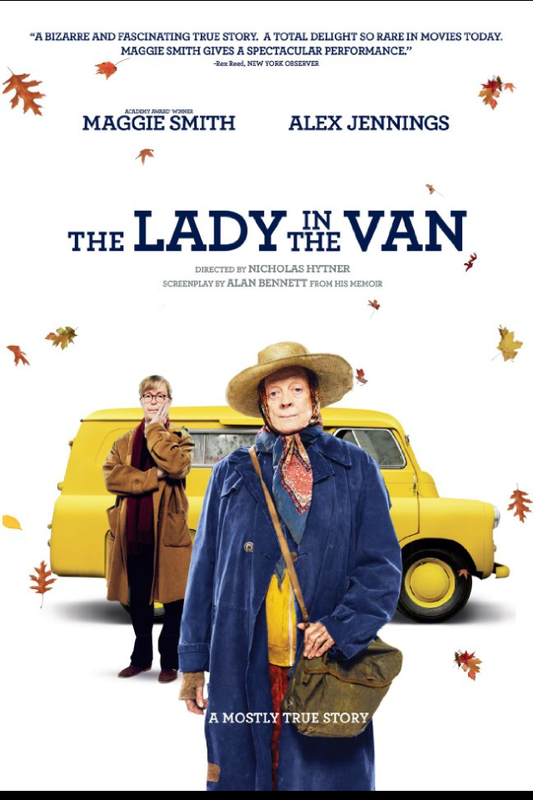 Alan Bennett, played brilliantly by Alex Jennings takes pity of ‘Miss Sheperd, also played brilliantly by Maggie Smith, who is a bag lady but owner of a van, who bothers a street in Camden where Bennett lives. Rather than being a good deed doer, Bennett’s offer to let the lady park in his driveway is in fact to stop her getting in the way of his writing. Yes, that relationship, if that’s what you can call it, is fractured and amusing but really I more enjoyed the ‘other’ Alan who is his writer self, who is also portrayed on screen by the same actor. He talks to his other self as an inner voice personified. It’s engaging and light hearted but there’s the sense of sadness in the lady’s past as we uncover and piece together a surprising past. I really enjoyed this little film and enjoyed my first dip into the world of Bennett. As a part time paranormal investigator, I had much more of an interest in this Enfield Case as it’s possibly the uk’s best known case. The recent tv three parter with Timothy Spall as intrepid investigator Maurice Grosse reignited people’s fascination with the case of a poltergeist energy which attached itself to one young girl and spoke through her on tape, even though a girls throat is incapable of making such deep tones. It’s a classic piece of evidence. To see James Wan deliver this tale had great possibilities for me. But being a horror film lover I also suffer from being too knowing about the music cues and other well trodden clues which ruin most scary movies for me. The first Conjouring was enjoyable to me but I never jumped or really felt uneasy in my seat while most of the audience had a great roller coaster ride. So to have The Conjouring 2 give me shivers in a few parts made me love this movie. Sure enough there are some failings such as the Crooked man which seems more Guillermo del toro than J.Wan. but with so many different types of scare tactics, there’s always something coming along which is likely to hit the spot and tap into your fears. The Warrens are back (which to be honest, I didn’t know had any hand in the case) plus the Marilyn Manson looking dude resembling the demon from Insidious albeit dressed as a nun this time. The use of shadow is exemplary and there are at least a couple of scares which I was left gleeful over. There child actors appear wooden a little until you see what the actual children were like in life- odd, out of it, and practically disturbed by events. All the cast do a good job but special merit must go to Simon McBurney as Maurice Grosse in a role which he nails as this unique man. There is probably half the movie which you could class as pure Hollywood polish just added to entertain but I was impressed at the details of the case which were implemented especially the neighbours over the road and the police who witnessed activity first hand. This is the best ghost story horror I’ve seen in many a year and I’ve watched everyone which I can get my hand on. I see this as a classic. Cast: Jenny Slate, Ellie Kemper, Lake Bell, Kevin Hart, Albert Brooks, Dana Carvey, Louis CK, Steve Coogan. You would think that animated buddy animal movies had run their course by now after endless successes and failures. It’s a tried and tested formula which keeps getting churned out numerous times each and every year. This movie still manages to seem ambitious though which I was pleasantly surprised by. MINIONS director Chris Renaud plus now co director Yarrow Cheney (Minions art director) have done a great job of having a large group of characters who mostly run as a pack, voiced by some great voice artists of recent years, continue to deliver fresh jokes across a 90 minute running time while taking in an array of locations without becoming over complicated. The script is sparky and yet well trodden, but I found myself having a new found appreciation for the level of texture animation on show. Water, particles, wet fur, shadows and all other manner of once tricky effects now seem to be just as manageable as the easy plastic looks of the humanoid characters of the 90’s movies such as Toy Story. 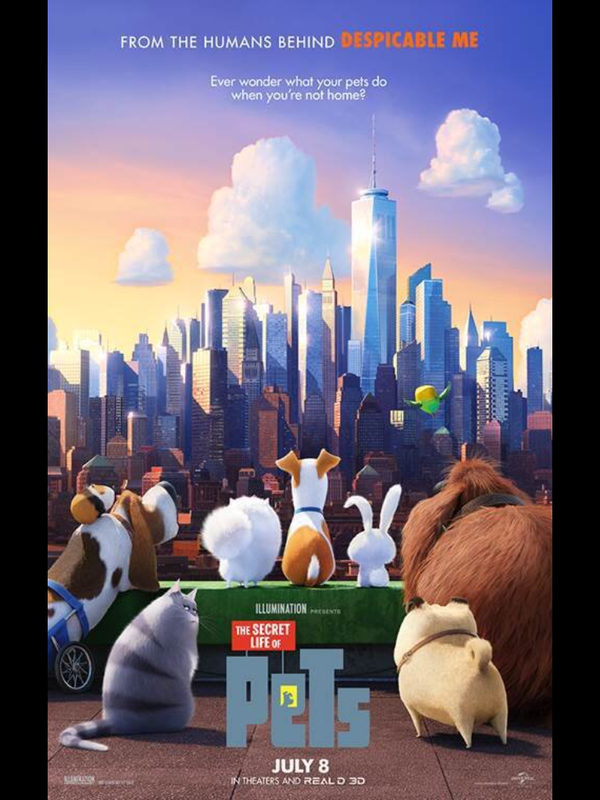 Now although my top film of this kind remains BOLT and my favourite animal led comedy animation is still THE PENGUINS OF MADAGASCAR, I have you’ve credit to PETS for juggling so many factors with a great confidence. The trailer has a bunch of gags which are easily thrown away because it’s only a small portion of the jokes provided. The voice cast are delightful together and everyone has their moment. The action whips along at a satisfying pace and I cared about the animals and felt their individual personalities. I classify this experience in the pleasant surprise category. 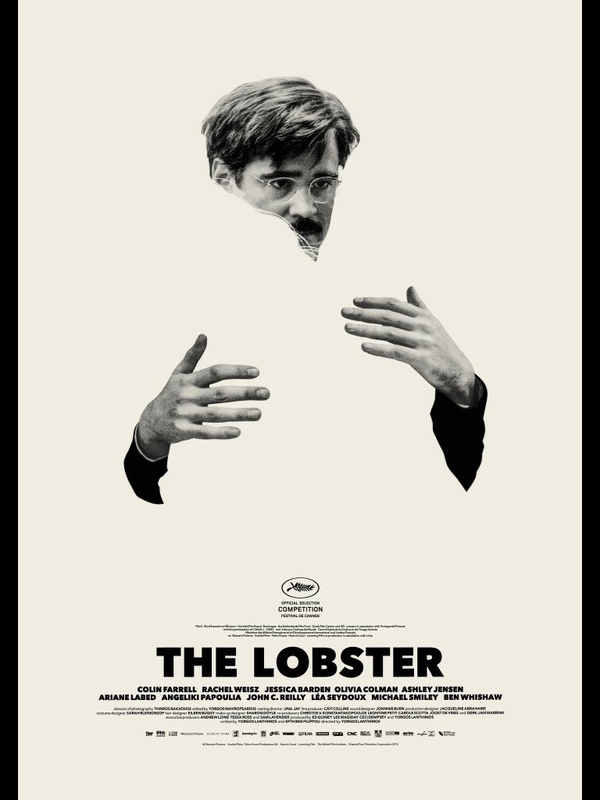 The Lobster is set in a near future world where the rules decree that it’s unacceptable to be single. All couples are pretty much kept separately and anyone who becomes single has to go to The Hotel. Once at The Hotel, the single people have 45 days to find a partner or they will be turned into an animal of their choosing. Of course not every single person goes willingly. Those ‘loners’ hide in the deep forests where they are hunted by the single folk of The Hotel so that they can win a day of extra life as a human, per kill. Darkly comical and yet played straight, The Lobster is a wonderful and quirky film which reminds me in tone of A Clockwork Orange. Colin Farrell leads a great cast of talented actors who all play ‘characters’ who are fully fledged oddballs. John C Reilly has a speech impediment and is almost playing it straight as are Ben Whishaw and Olivia Colman who bring their talent to the project. It’s an amusing piece of work and you can see it shining a light on society today which is obsessed with celebrity couples especially and the worth of their supposed true love which the media indulge in. Colin Farrell especially, acts brilliantly as a desperate man dumped by his wife for another man. His only friend left is his dog. I loved this film, especially second time knowing the dark tone to come. There’s a narration which is a mystery for much of the film and a score of stark classical notes which feeds into the brooding menace of The Hotel if you should break the rules. A twisted comedy drama which would be at home amongst Charlie Brooker’s Black Mirror series.